In the stunning Midi-Pyrenees, Gers has the imposing peaks of the Pyrenees to one flank and beautifully peaceful, rural land to the other. Part of the region’s charm comes from its many small fortified towns, dotted through the sparsely populated countryside. Auch is the capital and has an impressive cathedral and a vibrant centre of town and it’s probably one of the best places to stay in Gers if you’re looking for a lively base - the Gers is known for its many festivals, and Auch hosts a few. But if you’re looking for a place to escape to then the best accommodation options will probably be the remote châteaux with the spectacular views. This historic region is known for rolling green vistas only stopped by merry fields of sunflowers, quiet country roads leading eventually to old market towns, via châteaux and villages. In the Gers the living is easy! The population is small, and the produce, especially the cheese and foie gras, is excellent. Here are some good reasons to visit, and some of the best places to stay to enjoy them. The Gers has so many pretty villages some people cruise between them, spending an hour or two in each. Many of them are small enough to explore in less than an hour, but once you arrive it would be rude not to stop and sample some of the local produce. Montreal-du-Gers, Fources and Larressingle have all made the official list of 'the most beautiful villages in France'. Montreal was founded on an old Roman settlement, and is a very fine example of the 13th Century bastide towns. These are built around a central square with arcades and stone arches running off, and streets radiating outwards in an orderly fashion so that each house has equal space. Fources is a medieval town, some of it stone, some of it half-timbered. This makes it unusual amongst its bastide peers, as does the rounded layout and the green central square. Fources is one of the best places to stay in the Gers if you're looking for a pretty, historic base. 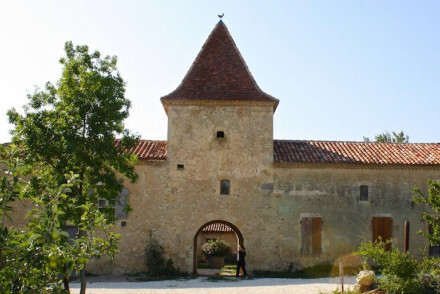 Larressingle's medieval fortifications are in excellent condition, inclosing a small Roman church, the ruins of a château, and a small museum. Medieval bastide Sarrant has also made the official 'most beautiful' list. On the eastern edge of the Gers, Sarrant is a great option for a stopover if you're just passing through. From here it's only 50kms to Toulouse. One of the most popular towns to visit in the department is Condom. The joke is on the visitors though, there wasn't a historic connection until the town folks built a contraception museum. Music lovers should head to Marciac, a 13th Century bastide town famed for its annual summer jazz festival. Tillac has to be one of the smallest communities in the Gers, its only got one street, but it's a very pretty street, so well worth a visit. If you're interested in Armagnac production book a property in or near Fources, while Eauze is often referred to as the 'capital of Armagnac'. With all this rich eating and drinking to do it might be worth considering adding some walking of cycling to your itinerary. There are plenty of well marked trails for walkers, and cyclists will be pleased to hear that the roads are relatively quiet and also relatively flat. Visit one or all of the Gers's contribution to 'the most beautiful villages in France': Montreal-du-Gers, Fources and Larressingle. Attend the annual summer jazz festival at Marciac. Sample the region's famed produce including cheeses, sausages, Armagnac and foie gras. Explore the picturesque countryside by foot or bike. Don't forget that this is an increasingly popular region to visit during the peak summer months. So if you plan to come during July or August and want to guarantee a bed in one of the best places to stay in the Gers, make sure you book well ahead. 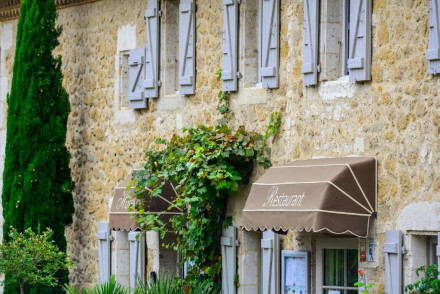 If you've come for the food, you'll be spoilt for choice, but one of our favourites is La Bastide, a luxurious country hotel with stunning interiors, beautiful gardens with outdoor pool and a restaurant serving the region's finest. 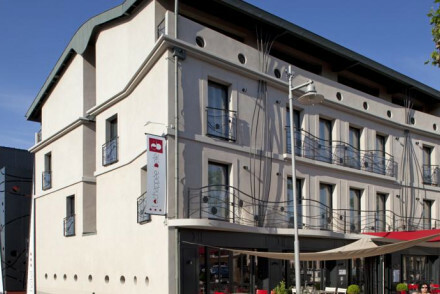 L'Echappee Belle is a modern stylish hotel in the centre of L'Isle-Jourdain. The rooms are simply furnished with decor inspired by local photography. Downstairs, guests can enjoy delicious contemporary cuisine in the relaxed brasserie, headed up by a two-michelin star chef. L'Enchantement is a relaxing and characterful retreat in a beautifully renovated 18th century barn with feminine and quirky touches. Exceptionally nurturing hosts. A unique stay. Adults only. 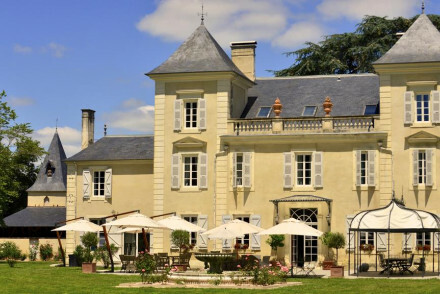 Chateau les Charmettes is an enchanting castle hotel just outside Auch. Unique rooms feature guilded mirrors, soft colours and terraces. Quiet gardens, an outdoor pool, hot tub, tennis court and lovely bar area. A magical choice for a romantic weekend. The Hotel Louis Grits is one of the best places to stay in the Gers if you dream of staying in a grand French manor house. The five rooms have been wonderfully decorated, and have original art and mosaics and tasteful, neutral tones. 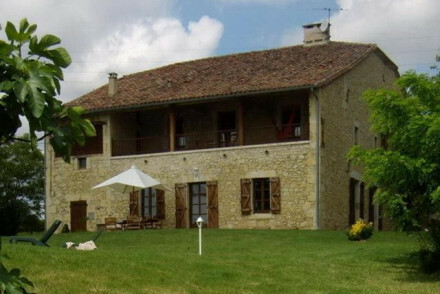 This is also one of the best places to stay in Gascony if you dream of wonderful views over the valley of Gers. 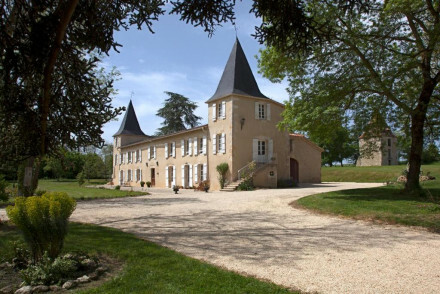 Chateau Les Charmettes is located just outside Auch, so here you get the best of both worlds - a gorgeous country retreat, but within striking distance of town. 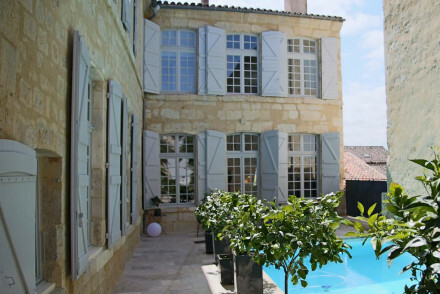 Maison Ardure is a seriously chic guest house offering accommodation at knock-down prices. Tastefully renovated with a great eye for detail, rooms are light and airy and rates start from just €119 per night. Maison de la Port Fortifiee is another top hotel choice for those on a tight budget. Elegant rooms are traditional in style and prices start from as little as €92 per night B&B. If you're travelling with family or a group of friends it may be a better option to book a villa or apartment. For a wide range of properties for all tastes and budgets we recommend you visit our online partner, Booking.com. The closest airport for most areas is the International Toulouse Blagnac Airport but there are also flights to Carcassonne, Bordeaux, Bergerac and Pau. Weather-wise the best time to visit is the summer months from May to October with temperatures peaking in August around the mid twenties celcius. If you plan to hire a car, we recommend you visit our online partner, Rentalcars. Still not sure where to book? Browse through our list of all the best places to stay in Gers. Expand your search to include all our recommendations in the neighbouring Basque Country. Call, or email, one of our gurus for advice. A picturesque stone house complete with pale blue shutters. Rooms are spacious and light with chic furnishings and minimalist decor. Facilities include a fantastic restaurant, an outdoor pool and sun-terrace. Ideally placed to explore the cultural and natural attractions of the region. 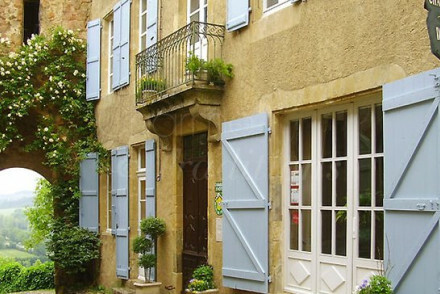 Local exploring - An authentic french experience ideally positioned for exploring the region. Great walks - Explore some of the 350km of marked paths in the area. Elegant rooms nestled amongst the rolling hills of Gers in an 18th century restored farmhouse. Decor mixes the old and the new with simple white washed walls, exposed beams and modern bathrooms. Featuring a swimming pool with panoramic views of the surrounding countryside. 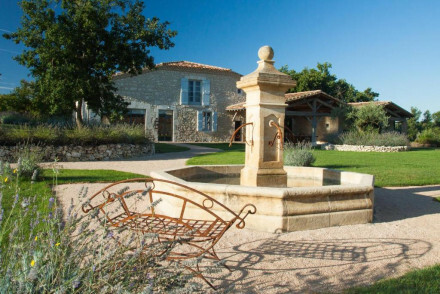 Country Escape - Amongst rolling hills and vineyards, it offers privacy but is only a short walk from Marciac, which teems with bars and cafes. Great walks - The hotel stands amongst rolling hills where guests can walk freely. Local markets - There is a weekly market in Marciac. An elegant former vineyard and country house offering spacious and stylish rooms, suites and villas. Decor perfectly mixes contemporary and traditional styles. Sample wine sourced from the family vineyard or hire a bicycle to explore the region. A relaxing rural stay. Country Escape - Surrounded by lush vineyards, woodland and mountains, this is the perfect secluded place to get away to. Sights nearby - In Romieu, there is the UNESCO church which is well worth seeing. 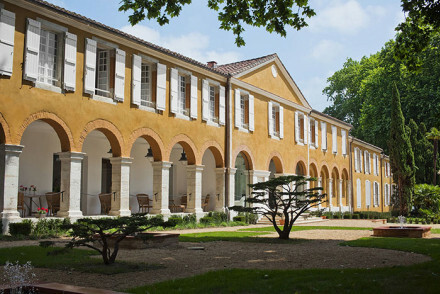 A beautifully restored mansion on retired vineyards in the heart of Gers. Elegant rooms with exposed stone interiors, wooden beams, cream-white walls and minimalist decors. With an excellent home cooked breakfast each morning and a stock of delicious wine available to bring to your room. Charmant! House party feel - Be prepared to meet people. A modern stylish hotel in the centre of L'Isle-Jourdain. The rooms are simply furnished with decor inspired by local photography. Downstairs guests can enjoy delicious contemporary cuisine in the relaxed brasserie, headed up by a two-michelin star chef. Perfect for business meetings. 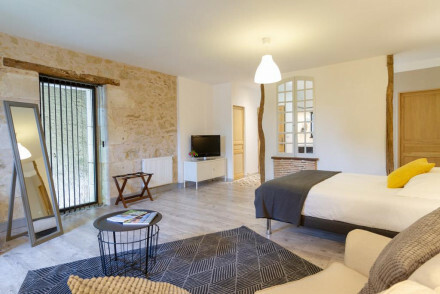 Local exploring - A charming design hotel in central L'Isle-Jourdain, ideal for exploring the town or the Midi-Pyrenees region. Business meetings - With great conference facilities, and a central location, it's perfect for a business meeting. Local markets - Explore the bustling market of L'Isle-Jourdain and pick up some of the regions finest produce. 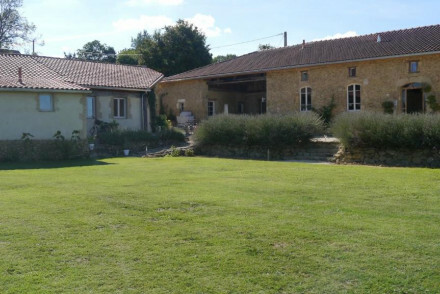 Charming B&B in the heart of Gers offering stunning views across fields, woodlands and valleys. Featuring a swimming pool, bicycles for hire and well-maintained gardens. Near Auch, Condom, La Romieu and Lectoure, it's a perfect place to start exploring the region. Business meetings - Fully equipped multimedia meeting spaces for businesses, researchers or creatives. Great walks - Surrounded by fields, valleys and woodland, it is filled with beautiful walks. 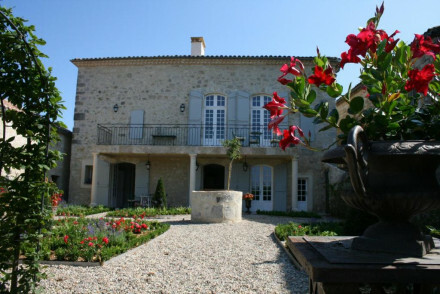 A typical Gascon country house in rural France with a peaceful flower and bird-filled garden. Bedrooms are traditional, simple and clean. Dinner is table d'hote style, featuring local specialities. A quiet country hideaway, perfect for a low key escape from it all. Great walks - Enjoy the beautiful natural landscape. A charming B&B set in rural Gascony overlooking a beautiful secluded garden and a pool lined by Cyprus trees. Elegant rooms are spacious and comfortable, with cool tile floors and antique furniture. Indulgent breakfasts are served, the hosts are ever warm and there's plenty to explore in the region. Country Escape - A beautiful country house set in a picture perfect village and surrounded by glorious countryside. Writing a novel - A quiet area unspoilt by tourism, the pefect place to feel inspired. Sights nearby - The Collegiale de la Romieu, an old church and UNESCO heritage site, towers over the village. Local markets - Traditional markets occur weekly in the village. A light stone rural Gers with pale blue shutters and splendid views of the Pyrenees. Chicly designed with warm colours, fireplaces, exposed wooden panelling. Rooms are minimalist in style and come with privates terrace. A charming rural retreat. Writing a novel - Rooms come with large desks and breathtaking views: perfect if you're looking for some peaceful inspiration. Country Escape - Nestled on the top of a hill and in the shadow of the Pyrenees, this is a well-hidden secret. Local markets - Just outside of the market town Mielan. Great walks - In the heart of the hillsides of Gers. 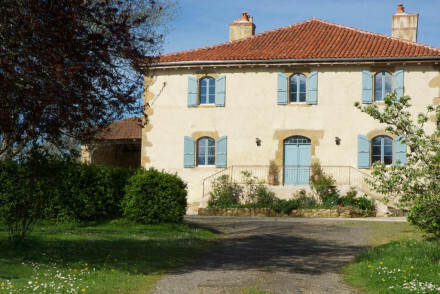 A lovingly restored Gersoise farmhouse in the heart of Gascony. Elegant rooms offer sink into beds, original exposed beams and modern artworks. The on site restaurant serves produce grown on site in a light filled, contemporary setting. With a heated pool, hot tub and spa it is the whole package. A charming, recently renovated 17th century manor house in rural France. Offers guests a large outdoor pool, steam room, hot tub and gym. Bedrooms have high ceilings, some with original stone walls and exposed beams. Full of character. Value chic - With doubles for around £70 this property provides excellent value. 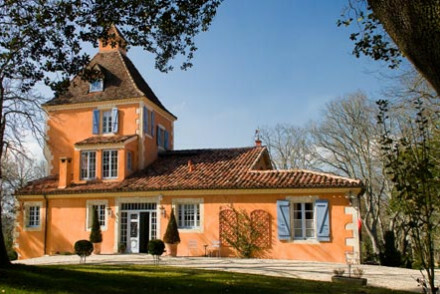 Renovated chateau in the wine-growing region of Gers comprising of 3 suites and 4 double rooms. Facilities include a sauna, jacuzzi, bar, swimming pool and a library. The hotel stands in the shadow of a 13th century tower and is flanked by countless vineyards. Ideally placed for exploring the area. Total relaxation - A relaxing stay boasting a jacuzzi, spa, sauna and swimming pool. Sights nearby - The fortified medieval village of Lorressingle is only 12km away and the Gallo-Roman villa at Seviac is just 7km. Elegant and spacious rooms in Gers with a self-catering cottage. 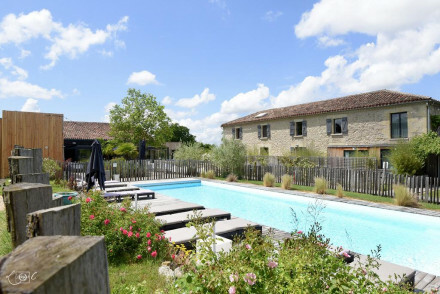 An 18th century farmhouse with stone walls and centuries-old oak trees, facilities include a pool, small golf course, restaurant, and ping-pong table. Chic and unique rooms all have tiled bathrooms and rustic furniture. Total relaxation - With two pools, a tennis court, Boules and ping-pong, guests can peacefully while away the hours surrounded by orchards. Active Holiday - Explore the local area via a hot air balloon or a microlight aeroplane, all of which can be organised through the hotel. Sights nearby - Gers is a region filled with medieval foritifed towns cresting the hilltops of the countryside. Swimming Pool - Outdoor pool. Two chic designer rooms above an award-winning restaurant. In the style of a country inn, with uniquely decorated boutique rooms and facilities including a Jacuzzi, blooming garden and restaurant. Rooms come with a private terrace and views of the garden. Ideal for those seeking peace and good food. 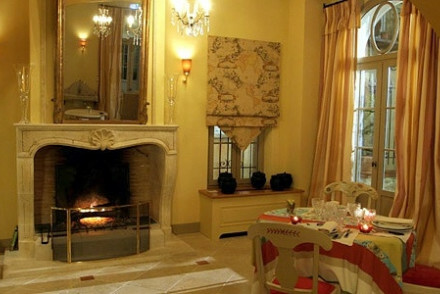 Foodies - The restaurant serves authentic french cuisine. A family affair spanning three generations. Sights nearby - Visit the striking Chateau de Lavardens in Auch. A luxurious hotel set in a beautiful stone house. Large rooms with creamy furnishings, stone flag floors and enormous bathrooms. An outdoor pool, lovely gardens, terrace and spa. Excellent restaurant serving French classics. A stunning hotel for a romantic weekend break. An elegant B&B in the heart of the historic centre of Lectoure, offering plush contemporary suites with private living rooms. There is a spa, pool, bar, tropical garden, and wine-tasting can be organised. A 17th century house where chic meets rustic sentimentality, a perfect rural retreat. 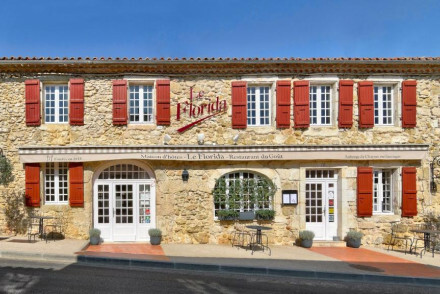 Foodies - Though Lectoure is a small town, there are a whole host of restaurants to choose from. There is also a market every Saturday. Total relaxation - Spa facilities and a pool. Great walks - Beautiful walks through the countryside. Swimming Pool - Outdoor pool and heated indoor pool. An enchanting castle hotel just outside Auch. Unique rooms feature guilded mirrors, soft colours and terraces. Quiet gardens, an outdoor pool, hot tub, tennis court and lovely bar area. Much to explore in this rich area between the Pyrenees and Atlantic. A magical choice for a romantic weekend. Fishing - Excellent fishing nearby. Charming 18th century guesthouse in the village of Saint Puy offering 3 spacious and sleekly designed rooms, most with garden views. Rooms are minimalist but in keeping with the traditional stone walls and exposed beams. A central location for exploring the region's history and culture. Local exploring - An authentic and cosy stay, ideal for exploring the region. Sights nearby - The abbey in Valence-sur-Baise is 7 miles away and the medieval college in La Romieu is a UNESCO heritage site. 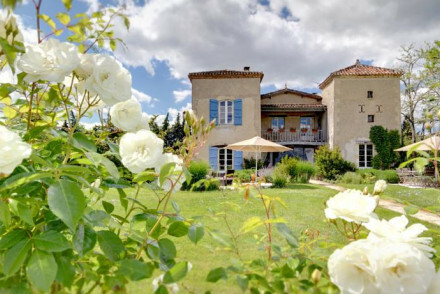 Set amidst stunning grounds just south of Tasque, Château de Darrech oozes romance. Luxurious bedrooms expertly mix old with new - featuring splashes of colour and contemporary furnishings in a traditional style. Escape from the sun with a refreshing dip in the pool! Intimate and charming. Sights nearby - Very close to Marciac (come for the jazz festival) and the Nogaro automobile race track. 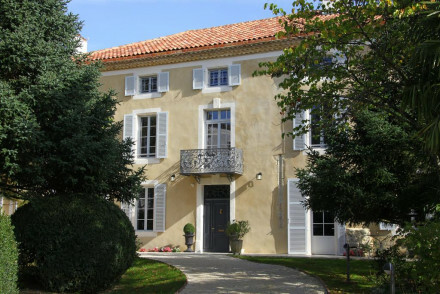 A picturesque French manor house in an enchanting castle town. Interiors blend traditional craftmanship with contemporary design. Rooms filled with original paintings, mosaics and stone work by local artists. A stylish country retreat. Views - Views over the valleys of Gers.